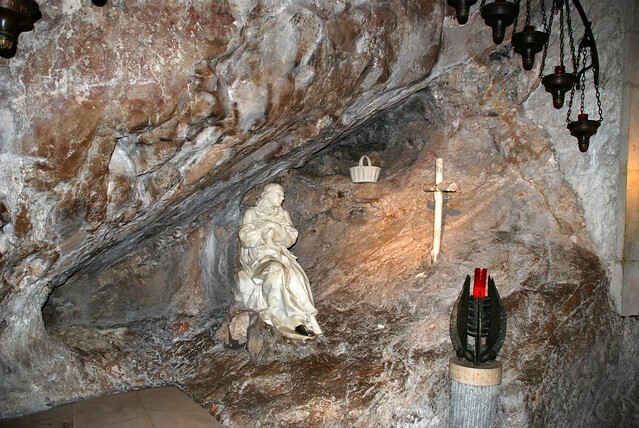 St. Benedict’s cave at Subiaco shows the personal struggle for holiness in contrast to the common monastic life at Monte Cassino. This contrast is seen in the following image. 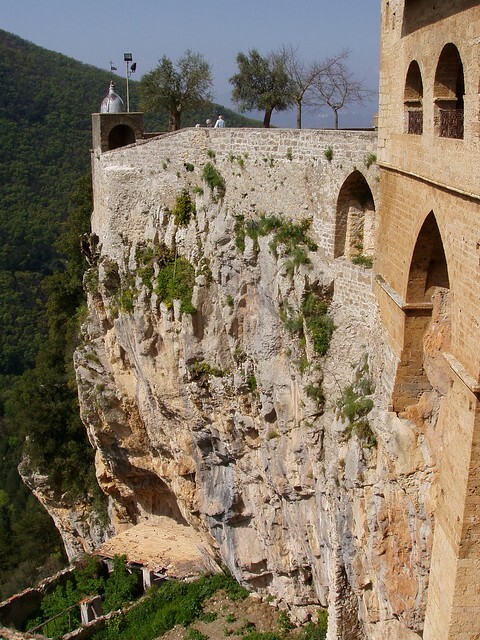 St. Benedict’s Cave is on a steep cliffside. The cave is merely a recess in the cliffside. 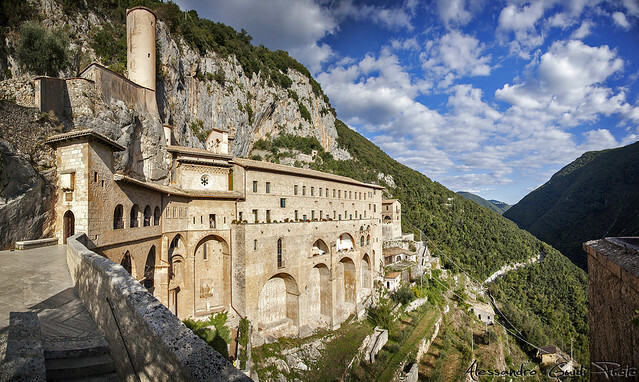 The buildings hug the cliffside. 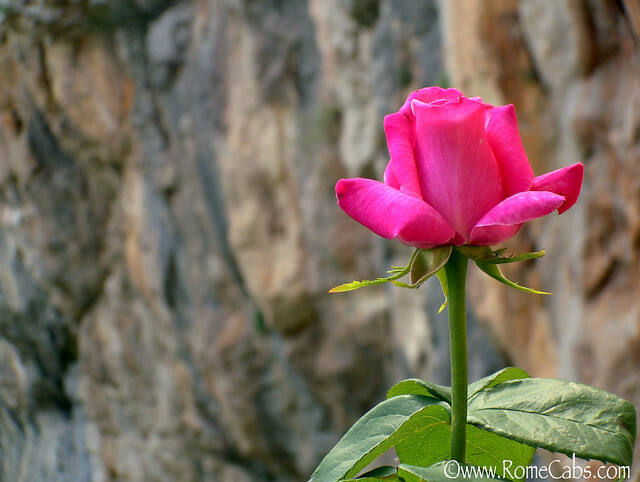 Today the thorn bushes are well cultivated roses. The cave is fit more for hermits than a community. 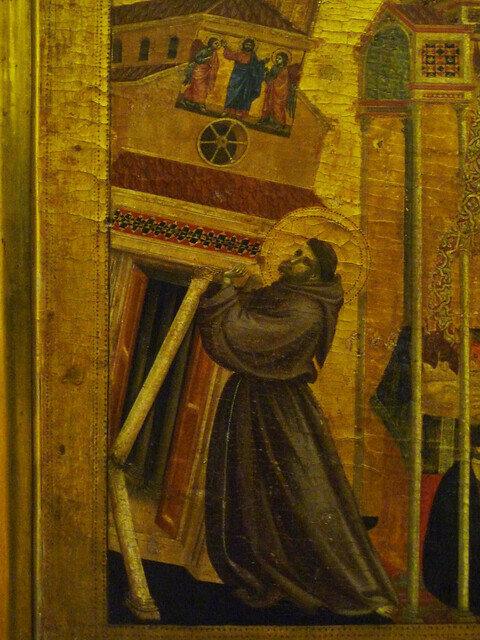 St. Francis (1180/81-1226) had a vision in which God told him to rebuild the church. Francis’ dream of holding up the church. 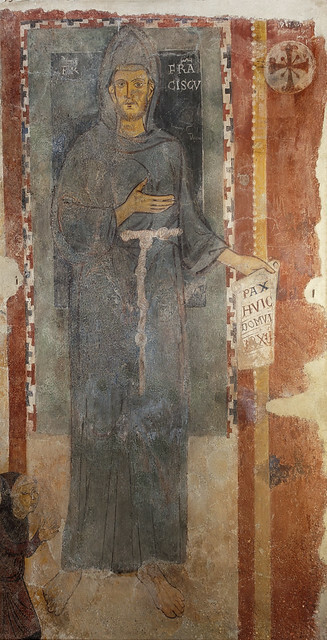 During his life St Francis visited the cave of Benedict. 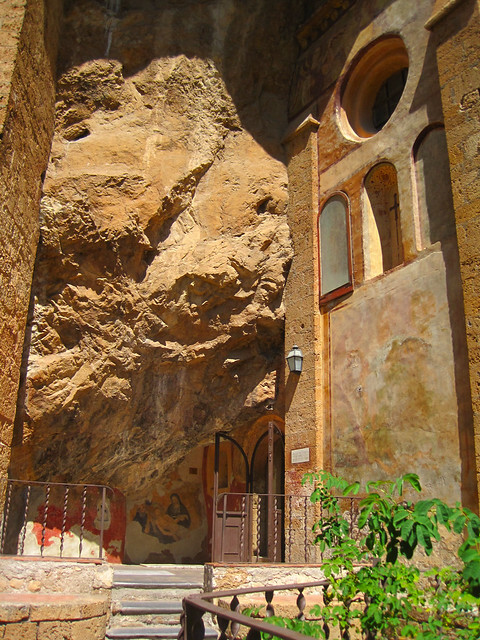 At this time the cave was renovated to emphasize the aspect of Benedict’s life that resembled that of Francis. 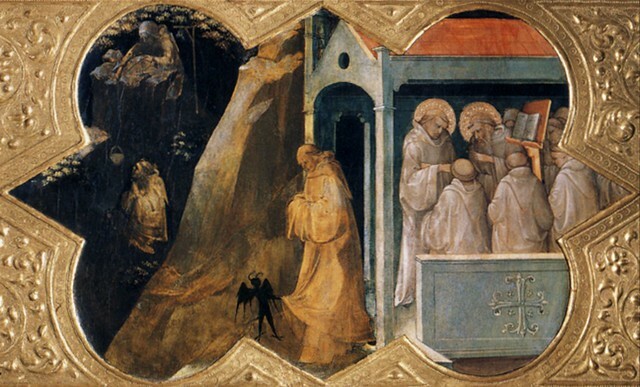 In this way, the Benedictine life was reinterpreted in light of the then current Franciscan charism. 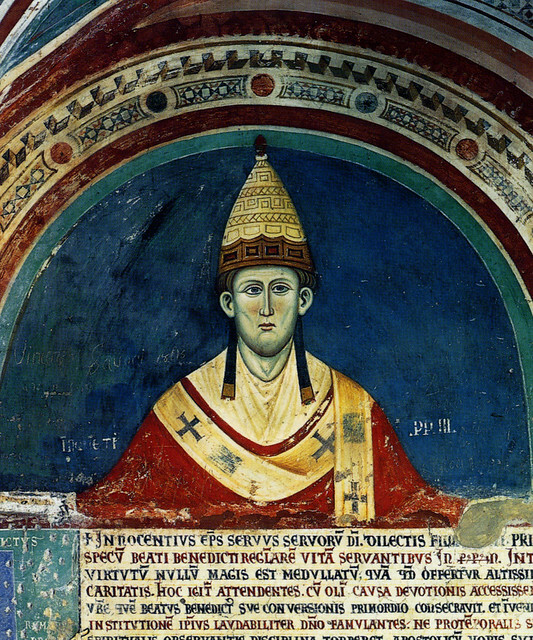 The cave was not significant until Pope Innoncent III (1198-1216). Click on any image to go to its original posting on Flickr.